Nice well and well cut. 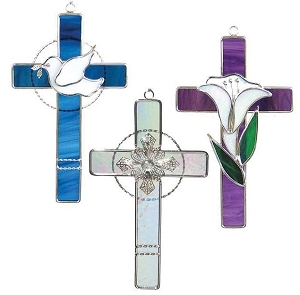 Pros : These are beautiful crosses and easy to put together. This is my second order. Pros : Fairly easy project for beginners still learning the ins & outs of lead soldering. Cons : No real cons. Pros : Convenience of pre cut pieces was fantastic! The wire was already rounded which is very nice. I don't know how many of us have twisted wire ourselves,and then tried to make it round but it is a challenge!